Railpictures.ca - Bill Thomson Photo: Young and old passengers, some bearing cameras to capture the scene, crowd around the front of CPR 4-4-0 136 stopped near the station in Cooksville on April 30th 1960. The day before the famous tripleheader on May 1st, CPR 136 and 815 ran together on a shorter Toronto-Cooksville fantrip along the Galt Sub. | Railpictures.ca – Canadian Railway Photography – photographie ferroviaire Canadienne. Caption: Young and old passengers, some bearing cameras to capture the scene, crowd around the front of CPR 4-4-0 136 stopped near the station in Cooksville on April 30th 1960. 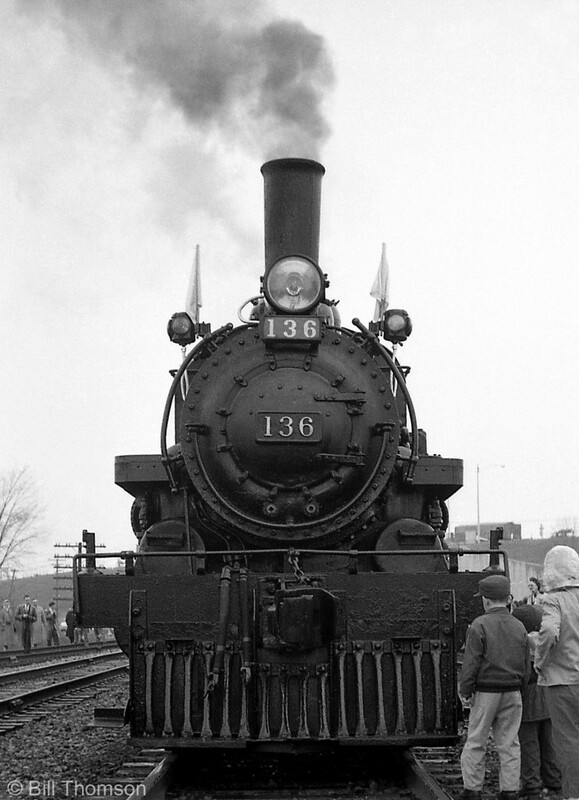 The day before the famous tripleheader on May 1st, CPR 136 and 815 ran together on a shorter Toronto-Cooksville fantrip along the Galt Sub.